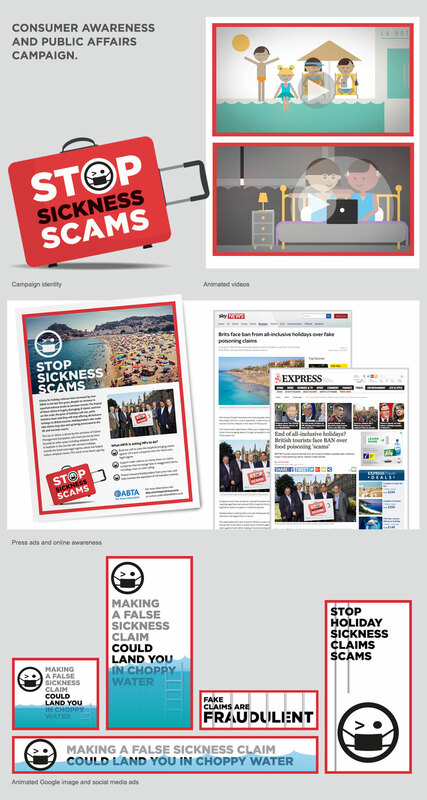 Open were recently were asked to develop a campaign of materials aimed at raising public awareness and preventing fraudulent holiday sickness claims. The hugely successful campaign included identity, animation and off and online advertising and, on the back up the publicity generated, has resulted in government looking to address the problem with a change in legislation over 2018. The videos were viewed well over 100,000 times in the first few weeks alone and the project has been nominated for the Best PR Strategic campaign at the prestigious Travel Marketing Awards.